The Rangers were defeated by the Ottawa Senators, 4-1, tonight at Scotiabank Place, and are now 13-5-3 in their last 21 games. New York has posted a record of 42-17-7 (91 pts.) overall, including a 20-10-5 mark on the road. Thursday, Mar. 8, 7:30 p.m. The Rangers will face-off against the Ottawa Senators at Scotiabank Place (7:30 p.m.; TV: MSG Network; Radio: Bloomberg Radio), to begin a back-to-back road set. The Blueshirts currently sit atop the Eastern Conference standings, and rank first in the league overall, with a record of 42-16-7 (91 pts.). The Rangers enter the contest having been defeated by the New Jersey Devils, 4-1, on Tuesday at Prudential Center, and are now 13-4-3 in their last 20 games. The Senators enter the contest with a 35-25-8 (78 pts.) record to rank seventh in the Eastern Conference, and have lost two of their last three games. Following the contest, the Rangers will face-off against the Chicago Blackhawks tomorrow, Mar. 9, at United Center (8:30 p.m.), in their third game in four days. Connecticut Whale personnel and fans knew rookie left wing Carl Hagelin was plenty fast from the time he played his first pro-game in the playoffs last April. Hagelin continued to blaze an impressive trail in his first 17 games this season after being among the Rangers’ final cuts, getting seven goals and six assists to earn a call-up on Nov. 24. Hagelin, who co-captained the University of Michigan to the NCAA championship game a year ago, also showed well almost from the outset in the NHL, getting seven goals and seven assists in his first 16 games. – The Rangers were defeated by the Ottawa Senators, 3-0, tonight at Madison Square Garden to snap their five-game winning streak, and are now 10-2-0 in their last 12 contests. – New York is now 27-10-4 (58 pts) on the season, including a 13-4-2 mark at home. The loss also ended the Blueshirts’ five-game home winning streak. – The Rangers remain in first place of the Eastern Conference standings, holding a one point lead over second-place Boston. 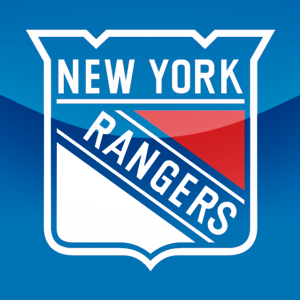 – The Rangers’ .707 winning percentage is the team’s best start through 41 games in 40 years, when the 1971-72 Blueshirts began the season with a 28-6-7 record (.768 winning percentage), and is the third best start in franchise history. – The Blueshirts’ 13-4-2 (28 pts) mark at MSG is their best start at home through 19 games since 1995-96 (14-2-3, 31 pts). – The Rangers out-hit the Senators, 37-21, and were credited with 16 blocked shots in the contest. Entering tonight’s action, New York ranked second in the NHL in hits (1,134) and sixth in blocked shots (653). One of the great success stories in Hartford Wolf Pack/Connecticut Whale history continued Thursday when defenseman Dan Girardi was one of three New York Rangers named to the NHL All-Star team. Girardi, who earned his first All-Star selection, was joined by Rangers goalie Henrik Lundqvist and right wing Marian Gaborik, locks to be named for the third time among the 36 players chosen to play Jan. 29 in Ottawa. 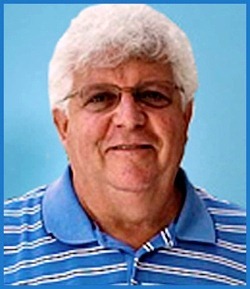 It’s the first time since 2002 that the All-Star selections included three Rangers, and another of the first-time selections was goalie Jonathan Quick, a Hamden native who starred at Hamden High, Avon Old Farms and UMass before joining the Los Angeles Kings, for whom he has a league-high six shutouts this season. Thursday, Jan. 12, 7:00 p.m. 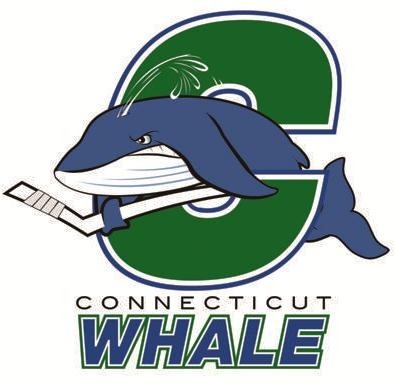 If the Connecticut Whale are going to make a serious run at a Calder Cup championship they are going to have to learn how to play with a lead and that it takes a full sixty minutes to win. Friday night in Binghamton, New York the Whale took on the Ottawa Senators top farm team and surrendered goals to forwards Andre Peterrsson and Pat Carrone in exactly sixty seconds and ex-Hartford Wolf Pack center Corey Locke would add an empty net goal in the final minute and the Whale lost for the eighth time in their last thirteen games (5-6-1-1) and saw their record when leading after the first period to 5-4-1-3 as they dropped a 3-1 decision in front of 3,684 at the Brome County Veterans Memorial Coliseum. Friday, Nov. 11, 7:00 p.m.
Wednesday, Nov. 9, 7:30 p.m. The Rangers will face-off against the Ottawa Senators tomorrow at Scotiabank Place (7:30 p.m.), in their second of four meetings this season. The Blueshirts currently rank third in the Atlantic Division standings, and fifth in the Eastern Conference, with a record of 7-3-3 (17 pts). The Rangers enter tomorrow’s contest having defeated the Winnipeg Jets, 3-0, on Sunday at Madison Square Garden to close out their six-game homestand with a 4-1-1 record. New York improved to 7-2-1 in their last 10 games, including wins in their last four contests. The Senators enter the contest with a 7-7-1 (15 pts) record to rank ninth in the Eastern Conference, and have lost their last three games. Following tomorrow’s contest, the Rangers will face-off against the Carolina Hurricanes on Friday, Nov. 11, at Madison Square Garden (7:00 p.m.), before leaving for a four-game road trip.